Display an empty tray and put some flash paper on it & paper transforms into spring flowers! 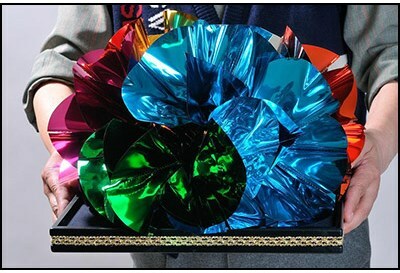 Repeat the effect but this time CHANGE the paper into a large bouquet of spring flowers. A repeat production tray. Many more effects possible Can be used to produce silks or sponge balls instead of spring flowers.